The idea to stage a major international children’s film festival was originally conceived by Nick Place at Media Giants way back in 2004. Nick's passion for giving kids a chance to have a film festival all their own led to Little Big Shots. Over a decade later, Little Big Shots has now become its own not-for-profit organisation dedicated to enhancing the media literacy of young people, fostering children's creativity and showcasing the very best in filmmaking for, by and about kids. In 2018, entering its 14th year, the festival still stands as Australia’s premiere kids’ film festival event - a niche Australian event, that tours capital cities from June every year, following the LBS Festival at ACMI over the Queen's B'day long weekend. 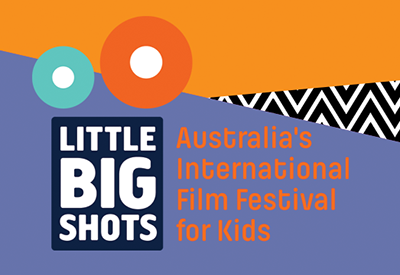 With its focus on diverse short films collected from all over the world as well as a commitment to showing the best child-made films from Australia, plus plenty of competitions and opportunities for involvement, Little Big Shots is a major event creating wonderful experiences for kids and their families.